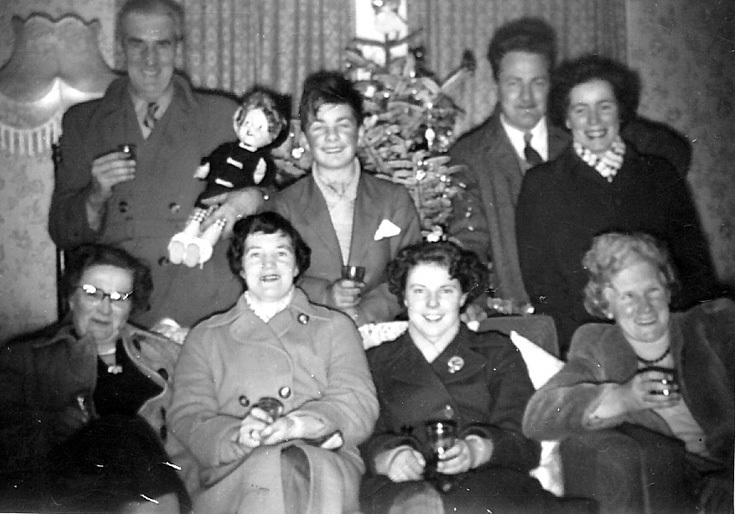 Hogmanay at our house in 1956. Jock Mitchell (left rear) such a lovely man and full of fun, then myself. I am ashamed to admit I can't remember the name of the guy on my left and his partner..he had a butcher business. Front left is Jock's wife, front right is Jean Adam. Is it Donald Mackenzie, that had the butcher's shop on the High Street?